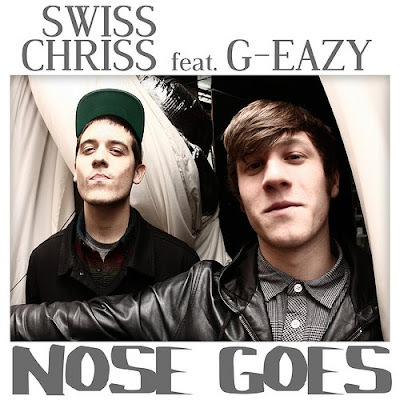 Our boy from New Orleans, Swiss Chriss, hit us up with his latest release, "Nose Goes." After relocating from Massachusetts, 21 year old Swiss Chriss hit the ground running in his new home in Louisiana and starting making moves. Swiss, along with some other friends, started one of the area's most fun and energetic parties, TKVR (I speak from personally playing this party and having an amazing time). Swiss Chriss also has had his hand in a number of releases and remixes before this new single. He's produced original productions along with official remixes for hype rapper Mickey Factz, Swedish hip hop star Adam Tensta and Red Bull Record's Innerpartysystem. Later in the year, Swiss will be producing a remix for Victory Record's artist "A Day to Remember." You can find soundcloud links to "Nose Goes" (featuring vocals from rapper G-Eazy) as well as a remix from Tallahassee transplant DallasK.